Digital All Stars is a series of articles which aims to celebrate the best of South African digital. The articles, which will appear on Memeburn and Ventureburn, recognise and celebrate South Africa’s best digital entrepreneurs, business people, advertisers, and media professionals among others. The 2017 Ventureburn Tech Startup Survey powered by Telkom Futuremakers found that though the Western Cape is still the most popular region in South Africa in which to run a tech startup, it’s losing ground to the country’s richest province — Gauteng. 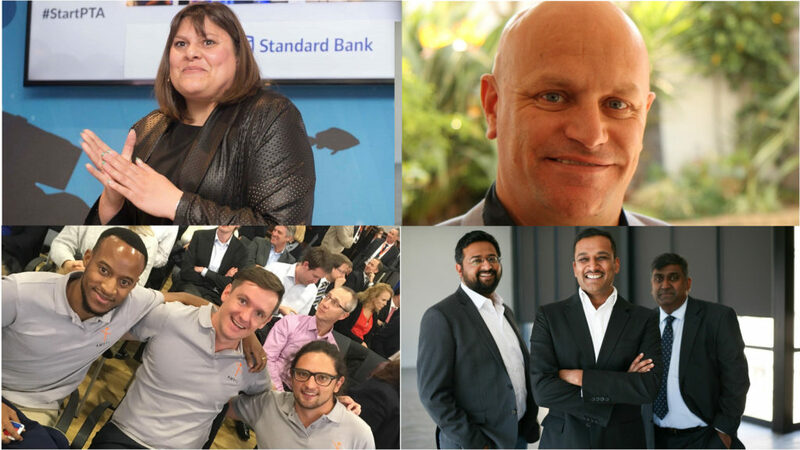 In this piece we take a look at eight Gauteng-based startups to keep an eye on in 2018. This insurtech startup in August last year announced that they had secured R5.2-million in seed funding from Lireas Holdings, the strategic investment arm of Hannover-Re Group Africa, in return for a 25% stake in the business. The funding is to help the company to bring their innovative insurance offering, which Pineapple co-founder Matthew Elan Smith (pictured above, right with fellow founders Ndabenhle Junior Ngulube, left and Marnus van Heerden, centre) last week told Venturburn will be available from March (after an initial plan to launch in the final quarter of last year did not come off). The team is currently made up of the three co-founders and two further developers as well as around 10 part-time resources that their partners have dedicated to the project. “Right now we are just ironing out things,” said Smith, who said the startup is about to begin beta-testing with focus groups and has signed up 500 people to do so. Without wanting to give away too much, he said Pineapple differs from other peer-to-peers in that the startup has developed a way to maintain full diversification while building affinity, rather than having a trade-off between the two. “This as well as our reinsurance aspect allows us to have a fully indemnified insurance offering which means you’re always covered, no risk of not enough money to pay claims (sic),” he said. “A member is in complete control of who they network to, not fixed pools — think Facebook friends. All leftover premium can be withdrawn at the end of each year and we show you exactly how your premium is used in real time,” he said. Graham Rowe and Richard Johnson (pictured above, left and right, respectively), of Joburg-based company Sancreed, were in June last year selected to be part of Endeavor, a global non-profit organisation that backs high-impact entrepreneurship. Their health platform, Guidepost, helps facilitate support and guidance for type-2 diabetes sufferers. The platform has been running for three years and has over 5000 registered users (including 30 in the UK through the National Health Insurance system), most of whom have been referred to the platform by their medical scheme. Rowe told Ventureburn last week that the startup has been able to grow by 40% since the Endeavour listing, by adding new clients including a new pharmaceutical company client. Additionally, the company has just closed a funding round. However, he declined to provide details of the deal. Here’s another startup to watch. In December the fintech startup’s founder Llew Morkel revealed that the startup had been able to raise “just over $200 000” through an initial coin offering (ICO) which was concluded that month. The ICO was to raise funds from investors to develop software that will help financial institutions to offer property investment products via the Blockchain. The ICO, he said, had helped raise “more than enough” money to fund the development of the project. “The project is in very good shape and going ahead. The tokens have been distributed to token holders, and listed on IDEX exchange,” he added. In another interview with Ventureburn, Morkel said an ICO can easily set you back R1-million before you have sold a single token. Livestock Wealth, which uses crowdfarming to allow anyone to become a beef farmer, in October grabbed the first prize of R1.3-million at the 2017 SAB Foundation Social Innovation and Disability Empowerment Awards for their GrassBeef platform. Ntuthuko Shezi’s platform, which has been live since 2015, allows people who do not own land or have the skills to own cattle to do so. He now has 600 investors who own 1200 cattle between them, while the platform has attracted overseas investors as well, he revealed in a Financial Mail article last month. 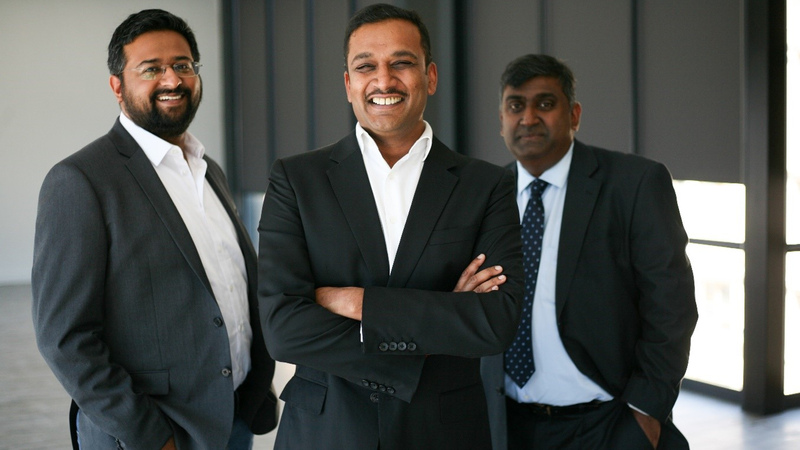 Fo-Sho co-founder and CEO Avi Naidoo (pictured middle, with Mithun Kalan, left and Siva Moodley, right) says the insurtech startup has been beta-testing its product and has so far secured premium commitments in excess of R10-million. Naidoo told Ventureburn last week that the startup plans to launch its product in March. Avi Naidoo — together with Kalan and Moodley — came together three years ago after leaving their corporate jobs to work on software for high frequency stock exchange trading. The startup has already secured a “multi-million rand venture capital investment” from BEE investor and Alpha Vista Systems director Dempsey Naidoo (no relation). Naidoo would not disclose the exact amount of the investment but he said the deal was signed in July. The startup, which was founded in 2017, was part of the inaugural Startbootcamp Cape Town accelerator and in November launched its short-term insurance offering aimed at lower-income consumers. Thomas Pays (pictured right, together with Mitchan Adams, left and Lyle Eckstein, centre), i-Pay CEO and co-founder, told Ventureburn in November that the startup will use the investment to assist the business in expanding to other markets. The startup currently operates in Nigeria and South Africa. Paralympic SA swimming star Natalie du Toit is working with Pretoria-based startup Sports Podium to launch an initial coin offering (ICO) to fund the first “knowledge-based digital sports economy” for sportspeople. Sports Podium co-founder and COO Jaco Rossouw told Ventureburn earlier this month that the ICO will take place likely in the second quarter of this year. He said Du Toit — who holds the role of community development officer (CDO) at the startup — will help recruit amateur sports players to the platform. The platform will then effectively award amateur sports people that report their performance data with its POD tokens. Sports people will be able to use these tokens to buy related goods and services as well as pay for advertising on various sports-related portals yet to be launched by the startup, while the company will also generate revenue through advertising on the platform. 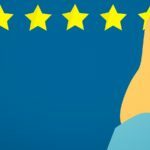 The startup’s blockchain generates a daily reward pool, which will then be shared among various participants, based on their reputation — which the platform defines as the ability to enter information accurately and diligently over time. Online trip exchange platform EmptyTrips — which was launched last year — aims to solve a common challenge that transport companies often face with empty return legs, by leveraging the benefits of the shared economy. To do so, the online marketplace uses algorithms and an auction system to match and connect spare capacity on vehicles to those requiring goods to be transported. In October last year the startup clinched what it claimed is a “multi-million rand” investment from Unicorn Capital Partners, (previously known as Sentula Mining), in return for a 20% equity stake. It comes after the company won the Africa Chivas Regal Venture Pitching Den at the SA Innovation Summit earlier this month. The startup will represent South Africa at the 2018 Startup World Cup in San Francisco next year. 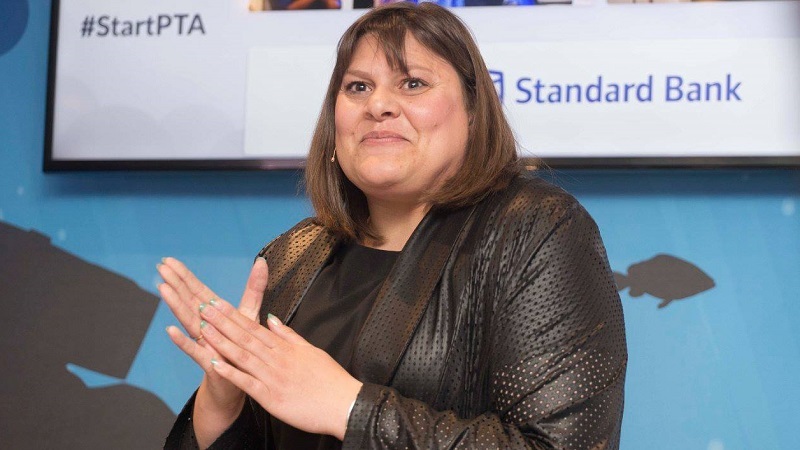 The startup’s marketing administrator Salome Kgoale told Ventureburn last week that the agreement with Sentula Mining is that the company would match what Empty Trips CEO and founder Benji Coetzee has invested in the startup herself over the last two years. Kjoale said the company is currently doing a rebrand and is now working with parastatal Transnet and shipping company Grindrod. In addition it plans to offer an on-demand insurance product.